It's so close to Christmas now I have to keep pinching myself, it almost doesn't seem real. For the past couple of weeks it really hasn't been registering with me just how far along in the calendar we are, I'm sure it'll sink in soon -especially when the tree goes up. 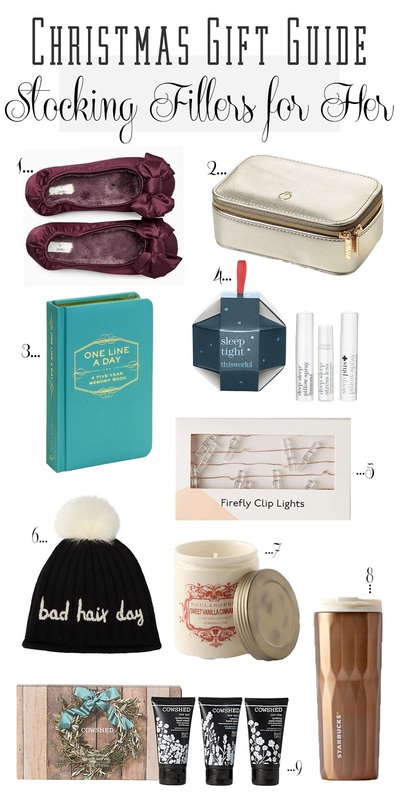 But right now, it's gift guide time!! There are so many amazing stocking fillers out there this year, this is just a handful of some of my favourites. As usual there will be a Stocking Fillers for Him up soon, and then the same with the main present gift guides too. I hope this helps give you some inspiration if your currently struggling with what to buy.